In a large bowl or stand mixer, beat together all ingredients. Spoon into a Texas (jumbo) muffin tin, lined with large parchment lotus cups. For best results, fill each cup nearly to the top. To make Lemon Poppyseed muffins, use Betty Crocker™ Yellow or Lemon Cake Mix + Lemon Pudding Mix. When your almond poppyseed muffins are cooking, make a little simple syrup with equal parts almond liqueur and sugar. Then drizzle tops of just-baked muffins with 3-4 tablespoons of the syrup. 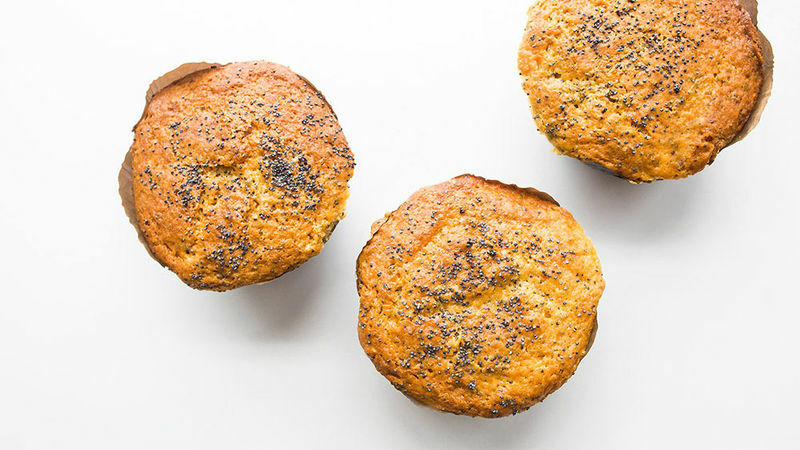 You’ll get the tender, moist, a-little-crispy-on-top texture all great poppyseed muffins have.